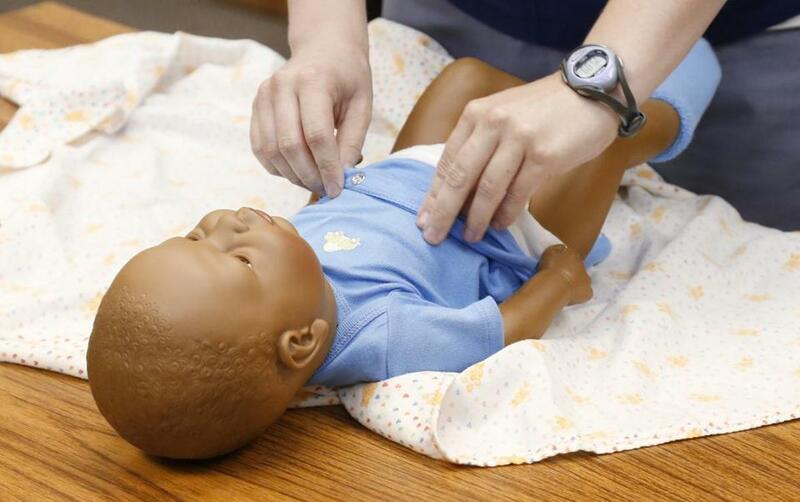 A woman demonstrated how to change a diaper with a doll in her offices at the Oklahoma City County Health Department in Oklahoma City. BOSTON (AP) — Children in Massachusetts are better off than in any other state in the nation, according to a report released Tuesday. Massachusetts was ranked No. 1 in the overall well-being of children as measured in four categories, according to the 25th annual Kids Count report by the Annie E. Casey Foundation. Yet despite the high overall ranking, the state cannot afford to be complacent, officials said. Even though Bay State children lead the nation in educational achievement and are less likely to be without health insurance than in any other state, far too many still live in poverty. Horowitz: No. 1 compared to whom? The report ranked states in economic well-being; education; health; and family and community. Massachusetts ranked first in education; second in health; eighth in family and community; and 13th in economic well-being. Fifteen percent of the state’s children — or about 213,000 — live in poverty, according to the report. Thirty percent live in households where no parent has secure employment. In both cases, however, those percentages were better than the national rates. A nation-leading 47 percent of Massachusetts fourth-graders are proficient readers, but Berger pointed out that more than half of children are not. The report found that 99 percent of children in the state have access to health insurance. But health challenges remain, including the fact that Massachusetts children are slightly more likely to abuse drugs and alcohol as kids everywhere. The numbers are a direct result of state policy, top politicians said.